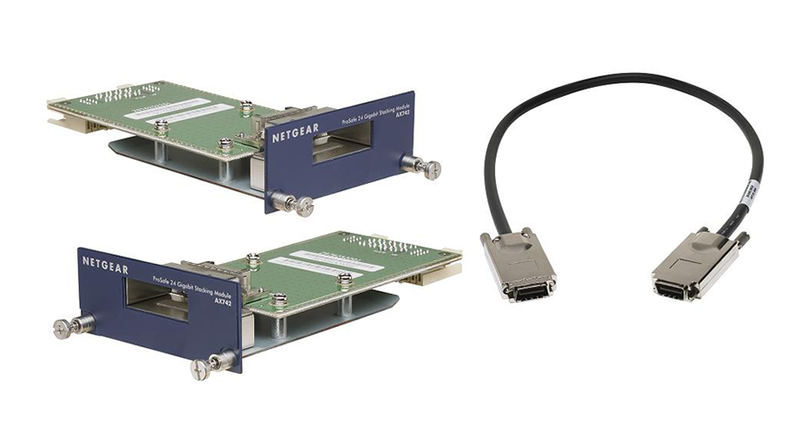 24Gbps Stacking Kit for GSM72xxPS / GSM73xxS. Resilient ring topology. 48 Gigabit of Stacking bandwitdh.